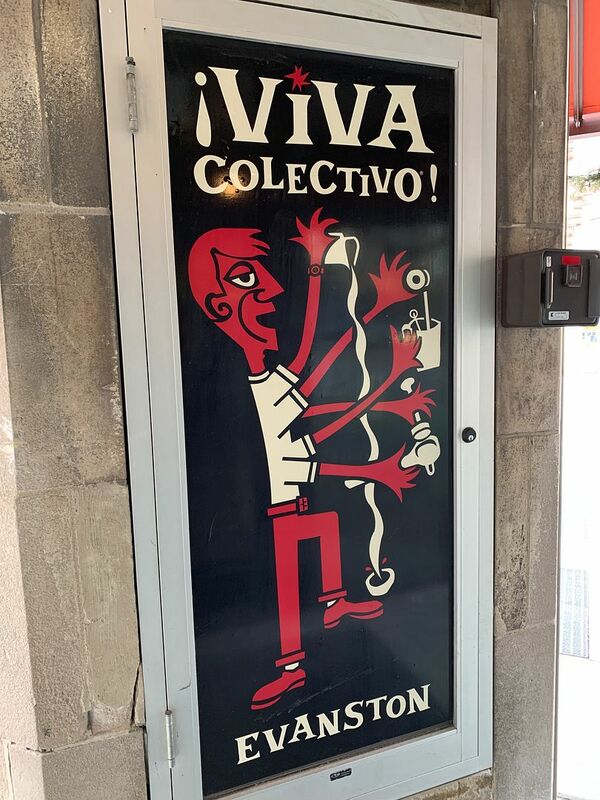 I went to the newly opened Colectivo Coffee in Evanston today. It was a 35-65% "success". A former Radio Shack, it was packed inside with fairly long lines. People were camped out taking advantage of the free Wifi. Since I don't drink coffee, I was obviously there for the pastries. Before I ordered I asked if they made things there. I was told no, that they truck them in every morning from their bakery in Milwaukee (or maybe just somewhere in Wisconsin). She seemed very proud that everything they had on display had been baked that day. I figured since it was about 2 pm, it's possible they were baked 12 hours before. 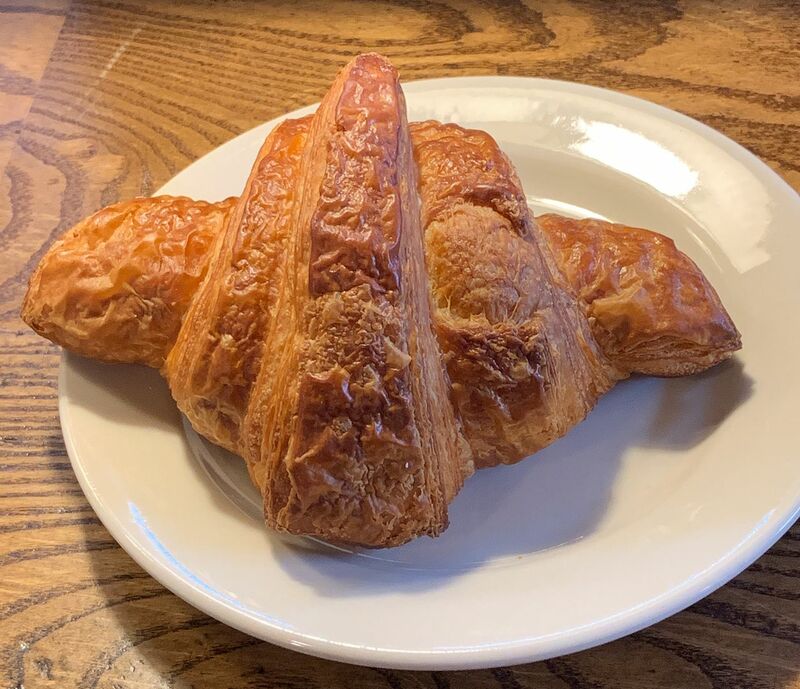 At any rate, with some trepidation, I ordered my standard plain croissant. 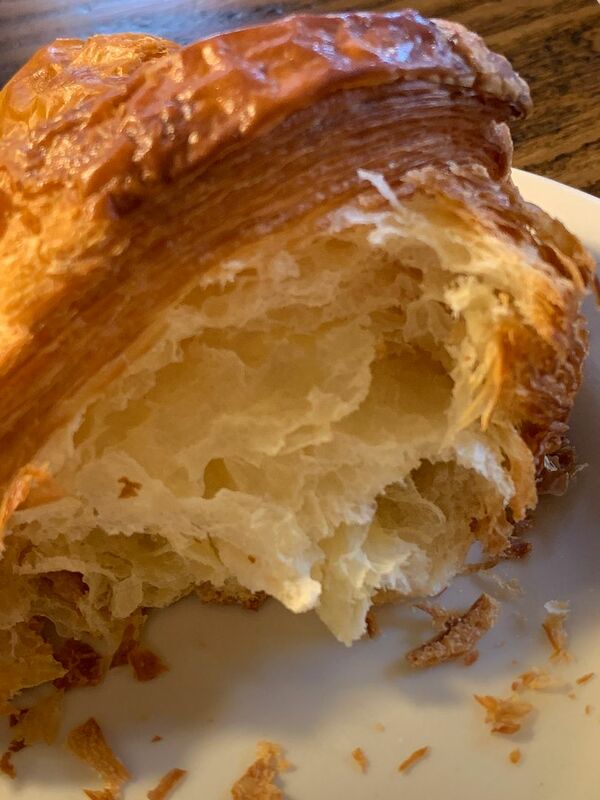 Unfortunately, the croissant was not very good, and I wound up throwing most of it away. 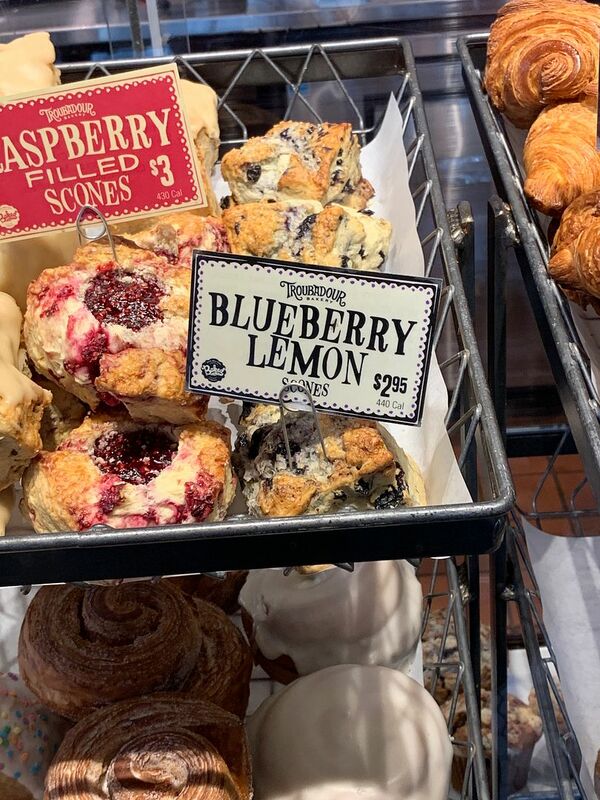 My other choice was the blueberry lemon scone. 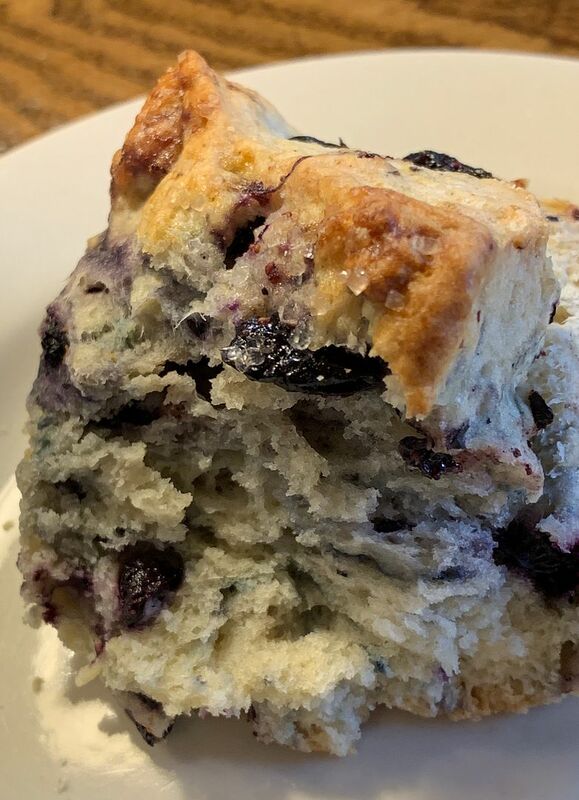 The scone was much, much better than the croissant, and made the visit worth it. 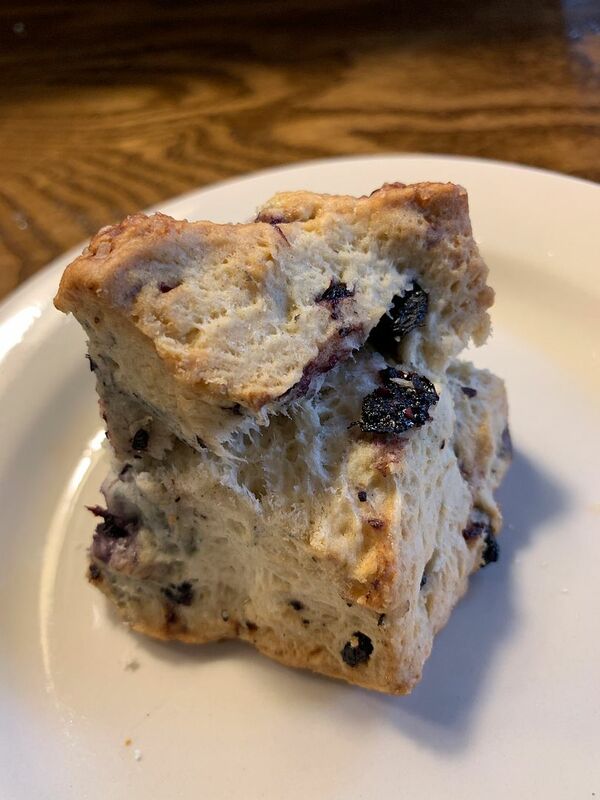 It had good flavor and texture (I generally like a more cake-like texture in a scone). It also had quite a few blueberries. Your point on croissants is so true. Needing to assemble all baked goods for a 2-hour ride from Wisconsin, many of the items were probably baked even longer than 12 hours ago. Just think...it will make you appreciate Paris all the more! Yes, and I'm already figuring out my next trip there, about this time next year. 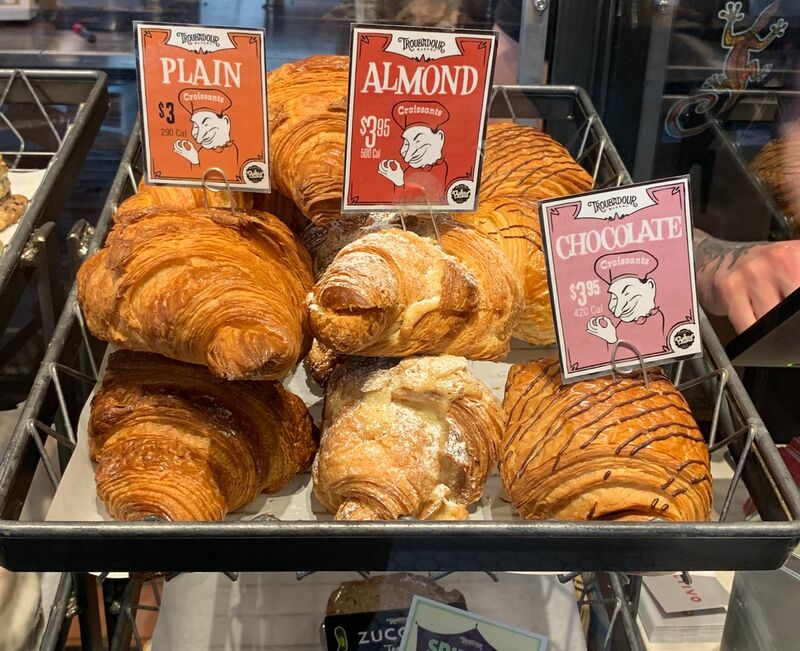 Please be advised that everything's better in Wisconsin and that includes the coffee from Collectivo and the fresh daily baked almond and chocolate croissants at the Kenosha Aldi's. Nobody and I mean nobody eats a plain croissant in Wisconsin! Well, with the butter you all have there, why would you ever eat anything plain? I'm the exact opposite of you. If I ate as much pastry,pie etc as you or Chi Town Diner or buffetbuster or any pastry or pie for that matter-(thank you prednisone) I would end up either in the hospital or in a casket, however it surprises me to the point that I have incredible trouble wrapping my head around it that you and many roadfooders for that matter don't drink coffee at all(and I mean good quality coffee house coffee) not only is it a way of life for me but it's a necessity. You and Mrs Folger are one hot couple! I'm with Dale on this one. Can't imagine going to a coffee shop and not getting a coffee. If I wanted just pastries, I'd be much more likely to go to a bakery. I've run across too few coffee shops that actually bake on the premises. The pastries are almost always secondary to coffee for us. 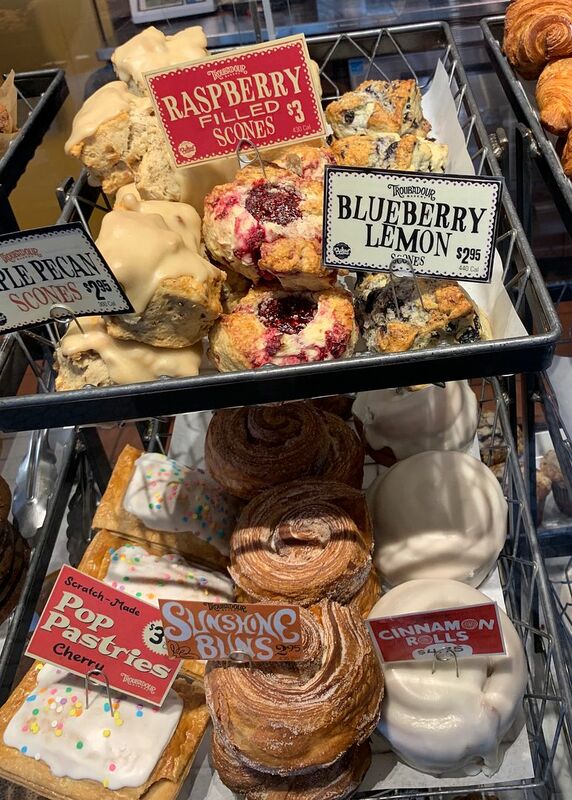 When we went to Comet Coffee in St. Louis last year we were quite impressed by their pastries, but they didn't make them there. Their real shining star was their coffee and other drinks! 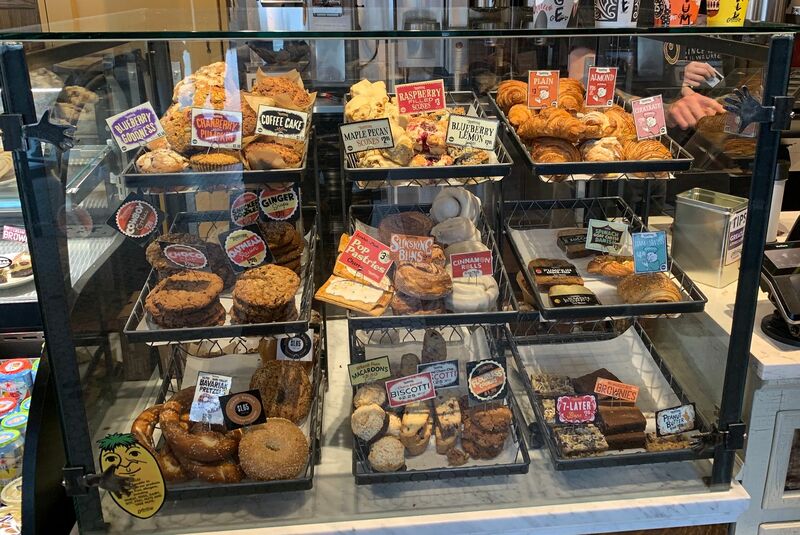 It doesn't surprise me when I hear a coffee shop has so-so pastries. Or when a bakery has so-so coffee. I order what they're known for! Many of my closest friends and colleagues either can’t function without coffee, or just really, really love great coffee, so I understand exactly what you are saying. I don’t know why I turned out this way, except that both my parents were big coffee drinkers and of course when I was growing up and wanted to try it they said no. I think I might have sneaked some once and hated the taste. Of course it was probably really strong bad coffee. I’ve always been a big iced tea drinker, having grown up in Miami. Then for decades it was diet sodas and when I figured out that the nutrasweet was causing my headaches and I stopped those completely I went back to the tea. Then, when Starbucks became so popular and my friends were hanging out there I went with tea pretty compulsively. That’s where I am now. I’m sure with all my pastries I’m at risk for lots of things, although my glucose levels at my last physical were still really good, much better than they should be? Of course I don’t eat pastries that much on a normal daily basis, unless I’m on a trip or on tour, or a Roadfood gathering. I agree. I don’t normally go to a coffee shop for pastries, but I guess I wanted to see what they had to offer. I don't drink coffee anymore either, David.I, too drink iced tea. I have probably never been to an outstanding coffee house, so I really don't know what I am missing. I'm a cold brew guy. 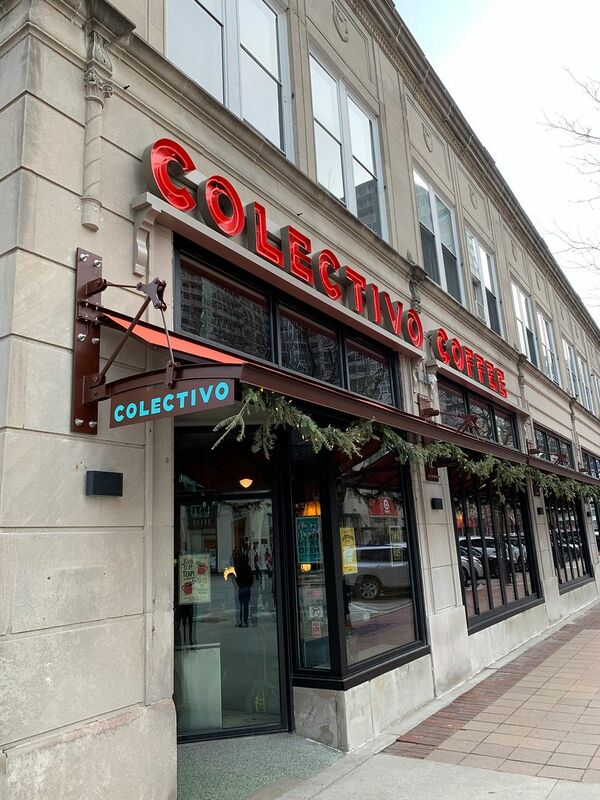 Incidentally, Collectivo is my go to Coffeehouse whenever I'm in Milwaukee-the Lakefront location. Unfortunately there are no short term or long term plans to re-visit Milwaukee. I do recall they did have a decent Muffin when I first visited way back in 2011. The last time I was there in 2017, all I had was a utility whole wheat bagel. Many other bakery options abound...you must have missed them or perhaps Mrs Fine was ordering?